There are several who frequent this site who are presenting a popular argument that true faith must exist outside of science or empirical evidence – that the weight of empirical evidence for or against the Christian faith in the Divine origin of the Bible shouldn’t matter or affect one’s faith in the Bible as the Divine Word of God. If a pastor says, â€œAll we need is the Bible,â€ what does he say to a man who says, â€œAll I need is the Quranâ€? It is a solipsistic method of arguing. The pastor is saying, â€œAll I need is my own point of reference and nothing more than that.â€ Even the gospel was verified by external references – “we saw, we felt, we touched.” The Bible is a book of history, a book of geography, not just a book of spiritual assertions. The fact is the resurrection from the dead was the ultimate proof that in history â€” and in empirically verifiable means â€” the Word of God was made certain. Otherwise, the experience on the Mount of Transfiguration would have been good enough. But the apostle Peter says in 2 Peter 1:19: â€œWe have the Word of the prophets made more certain â€¦ as to a light shining in a dark place.â€ He testified to the authority and person of Christ, and the resurrected person of Christ. To believe, â€œAll we need is the Bible and nothing more,â€ is what the monks believed in medieval times, and they resorted to monasteries. We all know the end of that story. This argument may be good enough for those who are convinced the Bible is authority. The Bible, however, is not authoritative in culture or in a world of counter-perspectives. To say that it is authoritative in these situations is to deny both how the Bible defends itself and how our young people need to defend the Bibleâ€™s sufficiency. It is sad that some people think a person who asks, â€œWhy the Bible?â€ is being dishonest. This is a legitimate question. This is not Biblical faith. Neither is it the faith of the Adventist pioneers. It certainly doesnâ€™t build faith, it actually destroys genuine faith. This pseudofaith more closely resembles a mere superstitious belief. It is no surprise that agnostics, evolutionists, and other doubters have such an affinity for those who possess this kind of â€œfaithâ€ on this site. Why wouldnâ€™t they agree with it? It doesnâ€™t threaten them in any way. It bolsters their ranks. It confirms their unbelief since they already believe faith is unreasonable. [God] appeals to reason and waits for each person to decide on the basis of the weight of evidence and the constraint of love. â€“ Steps to Christ, pp. 43-47; The Desire of Ages, p. 458; Testimonies, vol. 3, p. 255; vol. 4, pp. 583, 584.
â€œThose who desire to doubt will have plenty of room. God does not propose to remove all occasion for unbelief. He gives evidence, which must be carefully investigated with a humble mind and a teachable spirit, and all should decide from the weight of evidence.â€â€”Ellen G. White, Testimonies for the Church, vol. 3, p. 255.
â€œGod gives sufficient evidence for the candid mind to believe; but he who turns from the weight of evidence because there are a few things which he cannot make plain to his finite understanding, will be left in the cold, chilling atmosphere of unbelief and questioning doubts, and will make shipwreck of faith.â€â€”Ibid., vol. 4, pp. 232, 233. Notice that while there remains room for doubt, God has intended that we make our decisions and form our faith in Him and His Word, the Bible, based on the â€œweight of evidenceâ€. We call on all boards and educators at Seventh-day Adventist institutions at all levels to continue upholding and advocating the church’s position on origins. We, along with Seventh-day Adventist parents, expect students to receive a thorough, balanced, and scientifically rigorous exposure to and affirmation of our historic belief in a literal, recent six-day creation, even as they are educated to understand and assess competing philosophies of origins that dominate scientific discussion in the contemporary world. As a response to the “An Affirmation of Creation–Report”, this document was accepted and voted by the General Conference of Seventh-day Adventist Church Executive Committee at the Annual Council in Silver Spring, Maryland, October 13, 2004. December 18, 2010 in Theological. I certainly support this line of reasoning. Tested reality is our best objective tool for understanding the nature of things. I just don’t agree that those tests should get shoe horned into anyone’s pre selected footwear. Best to lake off the shoes and walk barefoot. Sean, I think that what you say above mischaracterizes those who disagree with you on the “weight of the evidence” issue. At least for me, and for others who have opposed your dogmatic stance, I can see a lot of evidence that life was created by God. In fact, I see the weight of the evidence in favor of creation, considering the fact that evolutionists have absolutely no idea how the first life might have arisen. They flail about with various untenable ideas, and even bring in a concept like the multiverse to solve the intactable problems of probability for eaven the essential molecules of life arising on their own. On this bit of empirical alone there is very strong support for a belief in the Bible or the Koran. And don’t forget that the Koran comes from the same tradition, to some extent, as the Bible, not that I am advocating its acceptance as Holy writ. I also am not saying there is NO evidence for a worldwide flood or a recent, literal creation, I just don’t see the evidence as overwhelming. A lot of the so-called evidence you and others committed to a literal interpretation of Genesis use is dependent on a variety of assumptions which may be true, but cannot be supported unequivocally. So, I do see some evidence for the traditional SDA position, but am, I hope, honest enough intellectually, to recognize the many things that are uncertain. On the flip side, I see many problems with the traditional evolutionist views too, which is evidence, albeit weak, for other alternatives, including the traditional SDA model. There is also a variety of other empirical evidence for the Bible, miuch it from fulfilled prophecies and historical corroboration. Although there are some discrepancies between secular and Biblical history, there is enough agreement to support such things as Jesus being a real historical figure and the origins of the Jewish people. Even the Koran provides corroborating evidence for the historicity of Abraham and the early patriarchs. And the Bible is pretty unique in this regard, as the holy texts from say Hinduism or Buddhism show little parallel with secular history and, in fact, tend to be more metaphysically oriented than the Bible. 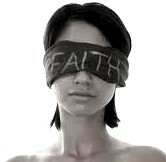 So, do i believe in the Bible by blind faith? Absolutely not! There is ample empirical evidence to believe that it is the Word of God. What I find problematic is taking evidence that is so marginal scientifically, that were I to present some of the evidence you tout so proudly, i would be laughed at. On the other hand, any honest atheist knows how shaky their belief system is when it comes to the origin of life, so i can bring that up and be taken at least a little more seriously. I can even bring up Intelligent Design, which opponents often do laugh at, because I can see clear scientific principles that tell me that ID is real science. I think evolutionists mainly fault ID because they don’t like the conclusions it makes if something is shown to be intelligently designed, but at least with intelligent design it is theoretical and mathematically based. So, please don’t keep accusing some of us who simply don’t see your evidence convincing as operating on blind faith. Nothing is farther from the truth. So, do i believe in the Bible by blind faith? Absolutely not! There is ample empirical evidence to believe that it is the Word of God. I appreciate your appeal to the need for empirical evidence as a basis of the Christian faith. However, not all agree with you. There are many who see no need to appeal to any empirical evidence whatsoever as a basis for faith in the Bible as the true Word of God. They see empirical evidence as antithetical to faith. They see even the potential for opening themselves up to testing and falsification as something so hateful to think about that they reject such notions as evil or Satanic. The â€œweight of empirical evidenceâ€ should have NO BEARING WHATSOEVER for the SDA Christian who accepts, on Godâ€™s Word, that an axe head can float on water, that Jesus was born of a virgin, and that Jesus bodily ascended to heaven. Likewise, it should have NO BEARING WHATSOEVER for the SDA Christian who accepts, on Godâ€™s Word, that He created the earth in 6 days. if one has grown up in a Bible-believing culture from childhood. However, it is not so easy to automatically take, as a given, that the Bible is God’s Word when one has grown up in a non-Christian culture. The Holy Spirit does not simply come to Buddhists or Hindus or Mormons and tell them, in an audible voice or some other supernatural manner, “Oh, by the way, the Bible is the true Word of God.” The Holy Spirit impresses the mind when we read or hear the truth, but God expects us to use our God-given brains; to be rational in our acceptance of the Bible and certain specific interpretations of the Bible as the true Word of God. The SDA Church organization recognizes the importance of empirical evidence as a basis of faith (as noted in the statements of the GC’s executive committee listed in the article above). That is why the SDA Church established the Geoscience Research Institute (GRI) – as an evangelistic tool in order to search out and present evidence in support of the fundamental SDA positions on origins in particular. As there are those who very strongly and passionately disagree with your own interpretation of the available scientific evidence being in favor of the Intelligent Design position, there are, of course, those who strongly disagree that the weight of empirical evidence actually favors the SDA position on origins – to include a recent worldwide Noachian Flood. At some point, those Christians who believe in the Bible based on empirical evidence are going to find themselves in opposition to the vast majority of mainstream scientists. You’re not going to be considered rational if you assert, at any point, that the weight of scientific evidence favors the existence of God much less the Divine origin of the Bible. I know you disagree with me when it comes to the importance of certain SDA fundamentals to the Christian faith. I also know you disagree with my view on the weight or meaning of certain evidences and features of the natural world. That’s fine. However, those who cannot, in good conscience, actively support the SDA position on origins would not be good representatives of the Church nor would they be most effective in advancing the Church’s primary goals and ideals. In my experience, those who hate the Bible hate any kind of Christian, not just people of blind faith. But I don’t think anyone here is really insisting on blind faith, I think they just don’t want to use a certain sort of “test tube” for God. –There is evidence that the Bible is divinely inspired, which is why I hold it in high esteem. Even in the areas that would seem to have some “weakness” of archeological evidence, there is still some real strength that warrents belief. The profecy of the “cutting-off” of the messiah in Daniel 9:24-27 actually gives a time-frame that Jesus really seems to match, and as such I see true divine inspiration in the book of Daniel (which is actually my favorite book of the Bible). Even if Daniel were written in 164 BC, as a lot of skeptics believe, no uninspires writter would ever know such a detail. So, despite my differences of opinion of interpretation, there is no doubt in my mind that God did in fact inspire the Bible. This itself, in my judgement, is good, imperical evidence for not just the Bible, but also God himself. There are several who frequent this site who are presenting a popular argument that true faith must exist outside of science or empirical evidence â€“ that the weight of empirical evidence for or against the Christian faith in the Divine origin of the Bible shouldnâ€™t matter or affect oneâ€™s faith in the Bible as the Divine Word of God. I am the one saying it as it is: to insist that the Bible requires validation by “empirical evidence” from the 21st century is nothing short of HERESY and BLASPHEMY. And it is more than heresy and blasphemy. It is ANTI-SCRIPTURE, ANTI-CHRISTIANITY, and ANTI-SEVENTH-DAY ADVENTISM. Why do EducateTruth followers lack the courage to denounce Pitman’s heresy? GOD’S WORD MUST NEVER TAKE SECOND PLACE PLACE TO EMPIRICAL EVIDENCE. ITS AUTHORITY MUST NEVER BE CONTINGENT UPON VERIFICATION BY MODERN SCIENCE. Stop the heresy and blasphemy! THE BIBLE CANNOT BE SUBJECT TO HUMAN REASON. Many SDA evolutionists have stated here and over at Spectrum that they are creationists and that they do not see how atheist evolutionists can solve the problem of abiogenesis. All 7-day creationists have stated that they do not have the answers to all puzzles, all questions that can be asked. And all of them (except possible Kent and a few others) have admitted that there are excellent science observations in nature that do not conflict with the Bible doctrine on the origins of all complex genomes on the earth as we see them today. This thread seems to go to the point of a few so-called creationists that only argue in favor of evolutionism and whine very loudly whenever an observation in nature is found to favor Bible doctrine on the origin of all life – even complex genomes. They seem to want to call that position “by faith alone”. However that is a kind of creationism that Dawkins and other atheists keep fabricating as the only form that exists. Almost a mindless factless flat-earther kind of creationism. It is easy to see how holding to such views “might” help you make friends with evolutionists by saying to everyone of them you meet “you betcha – I agree with you all of science is clearly dictating that evolution is actually what happened in nature”. Then they appear to “want” to add “but when it comes to religion I prefer to say that I believe in the stories and myths of the Bible” and so that is the kind of creationist that I am. Also, I failed to grasp the authority of the Bible when I wanted to take the “truths” discovered in the natural world and synthesize them with the truths from the scripture. Without realizing it, I was using a method that came from the major theologian of the Middle Ages, Thomas Aquinas. For him, theology rested upon the Bible AND nature, the Bible AND reason, and the Bible AND church tradition. In a sense, I was saying, it is wiser to build the house upon the rock AND the sand. This passage summarizes eloquently the substance of SOLA SCRIPTURA and how the SDA Church relates to it. Sean Pitman has strayed from Sola Scriptura. And so have you if you accept his philosophy on the precedence of empirical evidence and modern science over the simple word of God. The SDA Church organization recognizes the importance of empirical evidence as a basis of faith. Sorry, but there is no allowance here in SDA Fundamental Belief #10 for empirical evidence as the basis of faith. That’s heresy. How can EducateTruthers not see this? H-E-L-L-O-! Note the priority of Godâ€™s word versus empirical facts detected by our senses. Note that FAITH IS A GIFT FROM GOD, and is NOT acquired through the study of empirical evidence involving science. To suggest otherwise is HERESY and BLASPHEMY. For every truth, there is a counterfeit. There is pseudofaith (1 Tim 1:5, Ja 2:19), pseudoscience (1 Tim 6:20), pseudolove (1 Joh 3:18), pseudohope (Job 8:18), etc. Unfortunately, these counterfeits delude their possessors into pseudosecurity and pseudosalvation (Rev 3:17). Fortunately, all counterfeits expose themselves by attacking the genuine. It is a strange thing to observe, but false love is unloving and hateful toward those it deems unloving or hateful. It is interesting to watch those who do not seem to read others’ posts very carefully, complaining that their own posts are not read carefully. Those who complain of being misunderstood and maligned seem to be misunderstanding and maligning others. How true the Bible is, that the sin we charge against others is the sin we are most apt to be committing. As a frequent lurker, but seldom contributor it seems that some frequent posters are in the manufacturing business. Manufacturing a problem where none exists. It is obvious that anyone on this site who is determined to misunderstand the plainest statements, find a disagreement where no disagreement exists, or pick a fight where no fight exists, can manufacture misunderstanding, disagreements, and fights. Yes, even self-styled young earth creationists and professors can do this. The Word of God establishes all things. Our science does not “prove” the Bible, the Bible proves our science. But since the God of the Bible is the Creator of the universe and the author of the book of nature, there can never be a true contradiction between science and the Bible. We study both humbly and carefully knowing that each sheds light on the other. Science doesn’t trump the Bible, it is an aid in Bible study. It illustrates, teaches, and reinforces spiritual truths (Rom 1:20; Ps 97:6). We go to nature knowing that properly understood, it will declare the glory of God (Ps 19:1, 2). We know that the evidence of true science cannot but second the truths of God’s word. In the hierarchy of authority the Bible has the first and final word. Science can only imply what the Bible clearly states. While science can teach of the power, handiwork, and love of God, sin has dimmed its message. The Bible is necessary to properly interpret nature. And the Bible alone can declare God’s personality. The Holy Spirit must work in our study of the Bible since we can never unaided find God (Job 11:7). Thus, because Bible-believing scientists start from the proper premises, because they have a passion for truth, because they have available assistance from the Author of the book of nature, and because they have been promised power to keep them humble, Bible believers make the best scientists. Furthermore, they have a joy, an assurance, a purpose that the atheist and agnostic scientist can neither posses nor understand. To declare that this is somehow demeaning of truth faith, somehow ignoring the Holy Spirit’s necessary work, somehow believing science over the Bible, somehow blasphemy is simply mocking the clearly stated and frequently repeated beliefs of this site. Those who mock shouldn’t go around whimpering that they are suffering and being vilified here. Nor should they think they are somehow champions of genuine faith or love. There is a great difference between being buffeted for our faults and being assaulted for our virtues (1 Pet 2:12). Perhaps, the advice of Proverbs to listen more and talk less (Pro 10:19) would help us all. Editor’s note: The general use of bold font is distracting and is generally taken as shouting would be taken in a verbal conversation. Therefore, those posts that indiscreetly use bond font for general emphasis with be deleted without the editing that has thus far been undertaken for such. Note that Moses and the Prophets are based on historical evidence that is indeed based on empirical investigation – i.e., evidence that is detected by and appeals to our senses. Is such an appeal to “empirical evidence” to support the Bible over other competing options, in your own words, not “heresy” according to your above-listed arguments? After all, you cited empirical evidences that are based on modern sciences to include modern archeology and other forms of historical investigation – did you not? You see, we’re talking about the basis to accept the Bible as the true Word of God given numerous competing options from the perspective of someone who hasn’t grown up automatically believing the Bible in a Bible-believing culture. Upon what basis can one who has not grown up in your culture know that the Bible is the true Word of God while the Qur’an or the Book of Mormon or the Bhagavad GÄ«tÄ isn’t? Simply hearing the Bible is enough to make this determination? – without empirical knowledge of any other information outside of the Bible? – like real history? The Holy Spirit simply tells you the right answer without you having to do any other investigation on your own? – without any real study to search out the truth with your God-given brain and intelligence? The Word of God establishes all things. Our science does not â€œproveâ€ the Bible, the Bible proves our science. But since the God of the Bible is the Creator of the universe and the author of the book of nature, there can never be a true contradiction between science and the Bible. We study both humbly and carefully knowing that each sheds light on the other. In Genesis 1 God says that on literal day for (evening and morning where the 4th day) God made TWO great lights – the sun and the moon. But suppose we look up into the sky and we see “in nature” that we have 3 moons and two suns. That my friends is exactly what Dawkins is talking about when he claims that Chrsitians believe in some flat-earth idea that they know is not true. Darwin “chose” to “Believe in darwinism” over the Bible no matter what — then having come to that conclusion he was forced to admit that there is no marriage between that view and the Bible – and thus he said that he gave up Christianty entirely. This point could not be any simpler. It is easy to see how holding to such views â€œmightâ€ help you make friends with evolutionists by saying to everyone of them you meet â€œyou betcha â€“ I agree with you all of science is clearly dictating that evolution is actually what happened in natureâ€. Sorry, Bob, but none of us are talking about “make friends.” Our concern is INTEGRITY. Many SDA scientists are honest enough to recognize the very difficult problems presented by DNA and fossil evidence. Just because we don’t see it the same way you and Sean Pitman do does not mean we should tells lies for Jesus. We believe you and Sean Pitman subjectively cherry-pick your data to make creationism appear supported by the weight of evidence. We could agree to disagree, but you are determined to portray us as Badventists. Fortunately, all counterfeits expose themselves by attacking the genuine. It is a strange thing to observe, but false love is unloving and hateful toward those it deems unloving or hateful…How true the Bible is, that the sin we charge against others is the sin we are most apt to be committing. Okay, Phil. We both know your remark is directed toward me. Please help me by being more specific. WHY am I a counterfeit? HOW is my love false and hateful? And WHAT exactly is my sin? I would like to know these things so that I can correct them. Have I erred by citing Romans 10:17, Luke 16:31, and Ephensians 2:8 as reason why scripture is sufficient? Am I wrong to agree with the views on scripture of Richard Davidson and Edward Zinke of the SDA Biblical Research Institute? Please help me out, brother! While science can teach of the power, handiwork, and love of God, sin has dimmed its message. The Bible is necessary to properly interpret nature. And the Bible alone can declare Godâ€™s personality. I totally agree with you. What’s your beef with me? Dr. Pitman is the one telling us that the Bible alone is insufficient; not me! Upon what basis can one who has not grown up in your culture know that the Bible is the true Word of God while the Qurâ€™an or the Book of Mormon or the Bhagavad GÄ«tÄ isnâ€™t? Simply hearing the Bible is enough to make this determination? â€“ without empirical knowledge of any other information outside of the Bible? â€“ like real history? The Holy Spirit simply tells you the right answer without you having to do any other investigation on your own? â€“ without any real study to search out the truth with your God-given brain and intelligence? You perpetually misrepresent our position. NO ONE at this website has ever argued that we believe without using our brains. NO ONE has ever argued in favor of BLIND faith. Yet you continually assert this is our position. What part about “thou shalt not bear false witness” do you not understand? I and others have REPEATEDLY pointed why we accept the Bible over other religious books, so I’m not going there again. But I will restate one very obvious point: Abraham used his brain; King David used his brain; Paul and Barnabas used their brains; James and Ellen White used their brains. Each of these individuals had all the evidence they needed to understand God and form a valid faith. None of them knew anything about DNA relatedness, radiometric dating of fossils, and Pitman’s fsaars. Just because we know something about these things today DOES NOT MEAN WE NEED THEM TO BELIEVE IN THE BIBLE AND FORM A PROPER FAITH. Your insistence on basing faith on modern evidence constitutes heresy and blasphemy. I can’t believe you continue to shove this in our faces. Seventh-day Adventists always have and always will advocate the same faith of Abraham, King David, Paul, Barnabas, and James and Ellen White. You need to do better than this, Sean. You have argued repeatedly that any SDA employee who does not teach that the “weight” of scientific evidence favors the SDA interpretation of origins is unfit for denominational employment, and is stealing from the Church. That’s a bold accusation. Your use of this document to defend YOUR extreme position, and to “expose” and publicly deride those who disagree with YOUR position, totally distorts and misrepresents the SDA position. You persist in confusing and conflating YOUR position with that of the SDA Church. There is NOTHING WRONG with those who believe in the Genesis account for the very same reasons as King David, Apostle Paul, and Ellen White–largely because they are willing to accept it on God’s word. Stop bashing them! This is Sean Pitman’s blog. He controls it. Get the picture? Has anyone here ever met an empirically-blind Christian? A truly blind-faith Christian? H-e-l-l-o-? Kent’s endless bending of statements to try and create a line of condemnation for those daring to present evidence in favor of creation based on observations in nature is “impressive” in his untiring efforts to bend-and-wrench the smallest statement. By contrast we have clear statements about the proper use of reason and research. Dawkins “blind faith Christianity” idea where christians are nothing more than “flat earthers” claiming to believe what they KNOW not to be true does not fit the real model for the Creationist. But it suits Dawkins’ purposes just fine. I think Dr. Pitman has a valid starting point. There should be some understanding of the rational basis for creationism, or Christianity has no more basis than myth. However, let us try to address some practical questions. If all biology professors in our colleges were to be asked for scientific basis for certain of our beliefs, or else resign, how many teachers would be left? We are probably all familiar with the “kangaroo problem,” that is to say, “How did it happen that all the kangaroos get from Ararat to Australia (and surrounding areas), without any of them surviving anywhere else? What about lemurs, sloths, poison frogs, sequoia trees, etc., etc.” How many of our biology professors have a good answer for this one? As far as how many animals will fit on the ark, how many would present lions, tigers, cheetahs, etc. as getting on the ark separately, how many would have all felines microevolve from two animals just 4,000 years ago, and how many would say they have no idea of how to fit them all on? Should we fire those who don’t know? How many people who don’t have a faith commitment to the Bible give any credence to any of the explanations that would accommodate all of the animals and care for their needs, including food, water, fresh air, waste removal and suitable habitat? Don’t we need faith on this one? Don’t we have to establish faith in the Bible from other standpoints and then say that we need to accept this story by faith? Would we perhaps suggest that a series of unmentioned miracles were responsible for taking care of the questions critics raise? Or, should we just not mention any of the scientific problems of the Flood story and hope the students don’t think of them on their own? From what I have seen, the GRI has quite a bit to say about ID, but little or nothing about the scientific defense of the Noachian flood. How many of our professors also have no idea how to buttress the beliefs of Adventist students, much less how to convince a skeptic about the Flood? And what about Ellen White’s assertion that weeds were developed by Satan doing genetic engineering? Could we find even one professor who would postulate about demons transporting pollen to inappropriate female plants, or perhaps zapping plants or soil with harmful electricity to trigger the development of thistles or poison ivy? Wouldn’t even most Adventist students guffaw at such theories? And what about the amalgamation remarks? Ellen White’s defenders point out that we don’t think that any humans descended from apes (although I personally knew of an Adventist elementary school teacher who taught racial superiority based on her remarks). However, nobody knows what she did mean when she said it. And, certainly, no one has proposed any scientific evidence or argument to back any beliefs in amalgamation. It seems like Dr. Pitman is setting a high hurdle for our professors to vault over. There are some questions that seem to me to be much harder to answer than sedimentation rates, erosion rates, apparent age of mature created plants, and intelligent design. ID is as apparent as the sunshine in a blue sky. To me, sedimentation rates and such are believable. But, what about the animal problems on the ark, the survival of trees and the establishment of forests and the establishment of original spawning grounds for salmon after the Flood? Do our professors need to be able to defend these problems scientifically? To what evidence did she speak of? Did it have anything to do with modern scientific evidence (Pitman’s source of truth)? Or was it the same evidence available to King Solomon and Paul’s companion, Silas? Let’s be honest about what she actually was speaking to. I’m not sure this level of philosophical navel-gazing furthers Educate Truth’s mission. The fact is that teaching the Darwinian origins meta-narrative as truth, or as the best explanation of how the world came to be, works to undermine and destroy the Adventist faith. Adventism must adhere to a biblical creationist origins narrative, the truth of which is necessary to the regard in which we hold the Sabbath commandment, which in turn is the lynchpin of our prophetic interpretation. To say that Darwinism is truth is to say that Seventh-day Adventism is nonsense. It’s as simple as that. To teach Darwinism as truth at SDA colleges is nothing more nor less than to turn those colleges into centers for the destruction of the Adventist faith. As I read and blog about this topic here and at liberal websites, it strikes me that there are many quixotic and sometimes bizarre attempts to re-invent long-invented and established wheels in an attempt to obviate this conflict. But it can’t be done, it’s never been done, and you, dear reader, won’t be able to do it either. You have to make a choice between Seventh-day Adventism and mainstream, atheistic origins science. Do we not express our love for God, and for our brothers and sisters, by sharing with the world the reality of His creative power in both the natural world and within the human heart? – by providing His children with a solid basis for “Hope and a Future”? Kentâ€™s endless bending of statements to try and create a line of condemnation for those daring to present evidence in favor of creation based on observations in nature is â€œimpressiveâ€ in his untiring efforts to bend-and-wrench the smallest statement. When I am asking us to adhere to statements from Richard Davidson and Edward Zinke from the SDA Biblical Research Institute, why do you repeatedly urge upon us Richard Dawkins–a Bible-hating atheist–as Our Guide? To say that Darwinism is truth is to say that Seventh-day Adventism is nonsense. Itâ€™s as simple as that. To teach Darwinism as truth at SDA colleges is nothing more nor less than to turn those colleges into centers for the destruction of the Adventist faith. I completely agree with this statement. But if SDA colleges are to teach that modern science is necessary to vindicate the Bible, then likewise we have turned those colleges into centers for the destruction of the Adventist faith. Those who insist that modern science guide our faith are heretics and blasphemers. How could a true Adventist think otherwise? Here they are: 1. How would scorpions, spiders, sharks, leeches, woodticks, and internal parasites fit in a perfect Garden of Eden? In short, the way certain creatures are now are not the way they were originally created or intended to be. There have been degenerative changes (devolution) over time that have resulted in creation of parasites which were not originally parasitic. A modern day example of this is the evolution of toxic bacteria that are dependent upon a toxin injector called the “Type III secretory system” or “TTSS”. As it turns out, this toxin injector, which helps these toxic bacteria in their parasitism, is nothing more than a degenerated portion of a flagellar motility system that has lost most of its original parts. 3. If we accept the concept that all felines from bobcats to tigers descended from one pair on Noahâ€™s Ark (as some apologists do, to fit everything in), do we have any evidence of intermediate forms between these kinds, especially challenging, in my opinion, in the case of cheetahs? And what about the requisite speed of microevolution in this scenario? What most people, to include most mainstream scientists, don’t seem to understand is the very significant potential for phenotypic diversity that is contained within the gene pools of most living things. For example, essentially all the modern breeds of dogs, from the chihuahua to the Grate Dane were isolated within the last 400 years or so (more than 85% of dog breeds were isolated within the last 150 years – to include both the chihuahua and the Great Dane). 4. Ellen White asserts that God did not initially create â€œloathsome swampsâ€ or â€œbarren deserts.â€ In that case, when were the species formed that inhabit these habitats? In his interesting book, Noah’s Ark: A Feasibility Study, John Woodmorappe suggests that far fewer animals than most people realize would have been transported upon the ark. By pointing out that the word â€œspecieâ€ is not equivalent to the â€œcreated kindsâ€ of the Genesis account (as already described above), Woodmorappe credibly demonstrates that as few as 2,000 animals may have been required on the ark. To pad this number for error, he continues his study by showing that the ark could easily accommodate 16,000 animals.) That leaves well over two thirds of the Ark’s ~500,000 cubic meters of space for food, water, and living space for Noah and his family. There was probably also a waste disposal system to remove waste from inside to outside the Ark. There is also the possibility that the animals may have gone into a type of dormancy. Many groups of animals have at least a latent ability to hibernate or aestivate. With their bodily functions reduced to a minimum, the burden of their care would have been greatly lightened. It’s ironic that Dr. Pitman has publicly flogged Dr. Ben Clausen of the Geoscience Research for telling us that we should believe in the Genesis account even if we lack the scientific evidence to back it up. Some have argued, for this reason, that the Geoscience Research Institute should be terminated. Yet, Clausen’s position is exactly the same as the SDA Biblical Research Institute. Should we also terminate that GC institute as well? Why is it Dr. Pitman has to resort to quoting the “famous Christian apologist” Ravi Zacharias? Why did he have difficulty finding Seventh-day Adventist authors to support his position? The answers are quite telling. Having lurked on this site for a long time, I was and still am alarmed by the teaching of theistic evolution as truth at LSU. However, I am very disappointed by the tenor and lowball rhetoric that this site has gradually descended into. At the top of the website it says “La Sierra University promotes evolution.” But for cyring out loud, what does that have to do with GRI, various church officials, PUC, the subject of faith vs evidence, etc.? I was initially favorably impressed by Sean’s grasp of the issues, but soon realized that he loves to argue, argue, argue. The strident criticisms of Professor Kent, Bravus, Deanna Geanne, Kris Smith and others initially turned me off, but their repeated apologies and acknowledgements of mistakes lead me to believe they are much more humble than Sean will ever be. And then this abominable thing about deriding the faith of believers?!? Come on, guys, nobody here–I repeat, NOBODY–believes in blind faith or blind empiricism. Sean’s beliefs are clearly based on both faith and empiricism, whether he admits it or not. And so are those of the supposed “badventists”–even some who claim to be YLFs or YECs. You guys need to stop slamming each other. This isn’t the sort of thing that Jesus would ever approve of. Let’s be more respectful of each other’s views. “Come now, let us reason together” (Isaiah 1:18). I am sorry to be so forceful in defending traditional Adventism. I know that I have created a lot of posts for readers to wade through. I just don’t understand why so many readers are willing to abandon Sola Scriptura and replace it partially or wholly with modern science. I’m greatly distressed by the silence of the supposed “thousands” who read this website. Thank you, Bill Sorenson, for joining my defense. In all gratitude and praise, I must say that I’m amazed that my comments continue to be published. Kudos to the EducateTruth staff for tolerating a dissenting view. So what do we really know about sloth movements? In a 2004 paper in the journal Biological Conservation, Maned Sloths translocated from an urban area to a forest preserve in Brazil moved the most in their first year as they adjusted to their new environment, and much less in years 2 and 3. The average linear movement was approximately 24 yards per day. That would translate to 8760 yards per year, or 5.0 miles per year. However, the measure of “linear movement” was not in a straight line. It included zig-zag movements back and forth within a home range of less than 30 acres (the majority of sloths occupied home ranges less than half this size). And these numbers were essentially identical to a 2006 study published in Journal of Zoology of non-translocated sloths. In a 2007 paper in the journal Biodiversity and Conservation, two species of sloths in Costa Rica occupied median home ranges of only 13 acres (for Three-toed Sloths) and 11 acres (Two-toed Sloths). Thus, their movements were even less than the Maned Sloths from Brazil. The reality is that individual sloths do not move in straight lines for much of a year or throughout their lifetime. They have to pause to feed, locate mates, and raise offspring. Like most animals, they require a stable home range in which they know where reliable resources can be found. They are not nomads, continually on the move. Thus, we cannot expect each successive generation to continue a straight-line march across the globe for thousands or even hundreds of years. In their normal daily movements, they might move 5 miles in a year…but not in a straight line. We have been reassured that even a “small slow tree sloth” can migrate at a 12-mile-per-year pace across the globe. I don’t think so! It’s easy to invent “just-so” stories from modern science to defend creationism. They sound good and make us want to believe. But why should we put our confidence in this kind of “science” when it is so often exaggerated, and when we have, instead, the sure word of God? In a 2004 paper in the journal Biological Conservation, Maned Sloths translocated from an urban area to a forest preserve in Brazil moved the most in their first year as they adjusted to their new environment, and much less in years 2 and 3. The average linear movement was approximately 24 yards per day. That would translate to 8760 yards per year, or 5.0 miles per year. However, the measure of â€œlinear movementâ€ was not in a straight line. It included zig-zag movements back and forth within a home range of less than 30 acres (the majority of sloths occupied home ranges less than half this size). And these numbers were essentially identical to a 2006 study published in Journal of Zoology of non-translocated sloths. You forget that the gestation period for Maned Sloths is ~6 months (with sexual maturity reached in less than 5 years) and that Maned Sloths do not generally like to share their space with other sloths. This is probably why the initial migration in the first year was substantially greater than in the following years (very little range overlap between individual sloths). Given ideal conditions for survival, the doubling time for a sloth population would be less than five years. This means that the sloth population would double 10 times in 50 years and 40 times in 200 years. Forty doubling times in just 200 years is equal to over 2 trillion sloths all needing their own home range within 200 years of the Flood (an impossibly large population for even the entire planet to sustain). The total land area of the world is 148,940,000 km^2. The independent range of a Maned Sloth is well over 1 hectare per sloth (equal to over 0.01 square kilometers each; with the notation that your reference to a home range of ~30 acres = ~0.12 km^2 each). Therefore, the entire surface of the Earth, if all of it were available for sloth habitat, could accommodate less than 15 billion maned sloths. So, it seems at least reasonable to me that sloth migration would quite likely have happened a great deal faster than one might initially imagine given the ideal lush warm subtropical conditions that existed universally on this planet for several hundred years right after the Flood. You guys need to stop slamming each other. This isnâ€™t the sort of thing that Jesus would ever approve of. Letâ€™s be more respectful of each otherâ€™s views. â€œCome now, let us reason togetherâ€ (Isaiah 1:18). I agree with your statement. I worry that non-scientists are overly eager to believe everything that apologist creationists tell us. SDA paleontologist Dr. Leonard Brand expressed this very concern in his outstanding book on earth history. I have also worried that SDA-employed scientists cannot defend themselves because they are presumed guilty until proven innocent, and anything they say gets twisted and conflated to meet the presumption. So I have spoken my mind–no doubt too disrespectfully at times, and I apologize for that. I think by this point I have made my convictions and reasoning clear enough, so I will back off. I don’t care whether my stated positions are believed or not; what I care about is that we treat God’s word with the utmost respect it deserves and not require science–whether shoddy or factual–to validate it. I wish for all Adventists, regardless of their views, a close encounter with the Child in the manger this blessed holiday season. In all gratitude and praise, I must say that Iâ€™m amazed that my comments continue to be published. Kudos to the EducateTruth staff for tolerating a dissenting view. The Seventh-day Adventist Church should be foremost in highlighting Godâ€™s creative power in both the natural world and within the human heart as the basis for deserving our worship and praise. And then this abominable thing about deriding the faith of believers?!? Come on, guys, nobody hereâ€“I repeat, NOBODYâ€“believes in blind faith or blind empiricism. The point in play here is over the notion that science and religion are inherently separate enterprises. The argument is, therefore, “Leave religion to theologians and science to scientists.” Based on this argument many are contending that the SDA Church hired science professors to teach science, not religion. Therefore, why is anyone all worked up when they are doing what they were told to do? After all, the modern theory of evolution is science while creationism is religion! – right?! It is also because of the popular view that science (or empirical reality) and religion are completely separate from each other that lots of people believe in a form of faith that is impervious to the weight of empirical evidence against their chosen faith position. Many mainstream scientists are in this camp as are many Christians and many within other faith communities. It seems to me though that Jesus fought against this blind-faith idea in His own day – noting that even if overwhelming empirical evidence were provided by God, such as raising someone from the dead in front of their very eyes, those who opposed Him would not change their minds and believe. Therefore, I think it is important to point out that we, as Seventh-day Adventist Christians, should not fall into this same trap of “reasoning” from a blind-faith position – as some in this forum have done. The idea that science and religion are separate is simply not true. They are intertwined with each other – both requiring empirical evidence and leaps of faith as a basis for rational belief. Seanâ€™s beliefs are clearly based on both faith and empiricism, whether he admits it or not. And so are those of the supposed â€œbadventistsâ€â€“even some who claim to be YLCs or YECs. You guys need to stop slamming each other. This isnâ€™t the sort of thing that Jesus would ever approve of. Letâ€™s be more respectful of each otherâ€™s views. â€œCome now, let us reason togetherâ€ (Isaiah 1:18). Not even the work or teachings of Jesus were immune from attacks and controversy. Whenever one presents the truth in this world the attacks will come in many and diverse forms. Being willing to meet these attacks will also be mischaracterized as “loving debate” or “loving to argue” or in some other way “un-Christ-like”. Yet, Jesus did not shrink from defending the Gospel or His mission or the character and creative power of God. The SDA Church needs apologetics and those who are willing and skilled to lead out in spreading the reasons, the empirically-rational reasons, for the hope that is within us. 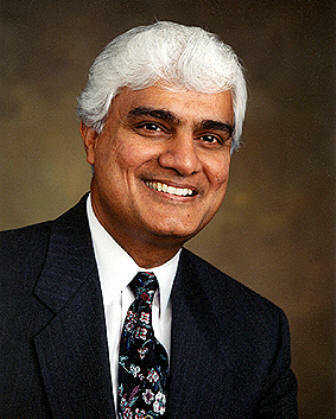 Ravi Zacharias is doing an excellent job in this respect and we need many more like him. The SDA Church should be foremost in producing more Clifford Goldsteins, Arthur Chadwicks, Ariel Roths, David Asschericks, Nathan Renners, and the like who are not intimidated to share the reasons, the empirical reasons, why they are in the Seventh-day Adventist Church today. Sean, I have no desire to win this war of attrition. Preach on. Perhaps it is just my personal observation by I discern a certain warming of hearts as of late. I have many fond memories of Christmas. It is by far, still, my favourite time of year. Christianity and Christmas has and still have a profound, wonderful impact upon the world. On Christmas Eve, as I have always do, I will attend the neighbourhood church to enjoy the simple service. There I will hold a candle of peace and share the warm fellowship of my neighbours, notwithstanding what they or I might believe. I hope you and yours have a wonderful Christmas. I’ll be thinking fondly about all of you. Peace on earth goodwill to men. I would like to thank Kent for his motivation and science interest in “Sloth movement”. In fact I think it is amazing that we see Kent so motivated, so interested in doing “science” research when it comes to the subject of creation — given all of his efforts to insist that we not do it. Oh no wait!! The ONLY science research Kent is motivated to do on the suject of creation is in trying to find “more puzzles” for creationists to solve! Ohh – ok .. It makes more sense now. I agree with your statement. I worry that non-scientists are overly eager to believe everything that apologist creationists tell us. SDA paleontologist Dr. Leonard Brand expressed this very concern in his outstanding book on earth history. I have also worried that SDA-employed scientists cannot defend themselves because they are presumed guilty until proven innocent, and anything they say gets twisted and conflated to meet the presumption. So I have spoken my mindâ€“no doubt too disrespectfully at times, and I apologize for that. I too worry that sometimes evolutionism is not getting a fair shake and that too many people are just accepting Creation as science fact as if it is what really happened in nature. I also worry that Christians have too many answers in science that they should not have and that one day a few of those answers in science might not hold up to some new discovery – so they will have to give up on that particulary science answer and select an even more accurate one as more data comes to light. On other days I worry that Christians (especially SDA Christians) have the false idea that there is absolutely no question that remain unnanswered — no puzzle that evolutionists have to offer for which there is not already a well researched solution sitting on the shelf. I worry that the “get used to living with dissappointment” message is not getting out to enough SDA Christians on the subject of the science supporting a literal 7 day creation week. Oh no wait! That is not what I worry about. Okay, Phil. We both know your remark is directed toward me. Actually not specifically. It was an observation of human nature. It was directed at me as much as anyone else. There have been a number of posts by a number of individuals over the months that illustrated it well. I could give you many instances in my own life that confirm this tendency, I am sorry to say. I would be happy to carry on a conversation in the quiet “privacy” of e-mail, but not in a public forum. If you would like you can contact me at prmills@earthlink.net. In the history of the Flood, inspiration has explained that which geology alone could never fathom. In the days of Noah, men, animals, and trees, many times larger than now exist, were buried, and thus preserved as an evidence to later generations that the antediluvians perished by a flood. God designed that the discovery of these things should establish faith in inspired history; but men, with their vain reasoning, fall into the same error as did the people before the Flood–the things which God gave them as a benefit, they turn into a curse by making a wrong use of them. Hmmm — “God designed that the discovery of these things should establish faith in inspired history”. God is the foundation of everything. 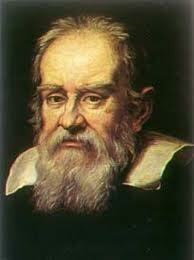 All true science is in harmony with His works; all true education leads to obedience to His government. Science opens new wonders to our view; she soars high, and explores new depths; but she brings nothing from her research that conflicts with divine revelation. Ignorance may seek to support false views of God by appeals to science, but the book of nature and the written word shed light upon each other. We are thus led to adore the Creator and to have an intelligent trust in His word. No finite mind can fully comprehend the existence, the power, the wisdom, or the works of the Infinite One. Says the sacred writer: â€œCanst thou by searching find out God? canst thou find out the Almighty unto perfection? It is as high as heaven; what canst thou do? deeper than hell; what canst thou know? The measure thereof is longer than the earth, and broader than the sea.â€ Job 11:7-9. The mightiest intellects of earth cannot comprehend God. Men may be ever searching, ever learning, and still there is an infinity beyond. Yet the works of creation testify of Godâ€™s power and greatness. â€œThe heavens declare the glory of God; and the firmament showeth His handiwork.â€ Psalm 19:1. Those who take the written word as their counselor will find in science an aid to understand God. â€œThe invisible things of Him from the creation of the world are clearly seen, being understood by the things that are made, even His eternal power and Godhead.â€ Romans 1:20. And then of course there is that I.D principle in Romans 1 that goes far beyond anything that the I.D. guys over at the Discovery Institute are promoting. Thus, we cannot expect each successive generation to continue a straight-line march across the globe for thousands or even hundreds of years. In their normal daily movements, they might move 5 miles in a yearâ€¦but not in a straight line. We have been reassured that even a â€œsmall slow tree slothâ€ can migrate at a 12-mile-per-year pace across the globe. I donâ€™t think so! The sloths tend to live between 10 and 20 years, and in that time they tend to have a single newborn per year. If we go with the conservative number that would mean that at minimum, they probably reproduce 10 newborns within 10 years, but it is also true that the newborns tend to have a high mortality rate within the very first year of their lives. â€“ There is no statistic at the actual death rate in the first year before they have a chance to reproduce, but since there obviously was a net gain in the population (since the flood), that allows the minimum survival rate to be 40%. This would mean that if they birthed 10 newborn sloths, then a maximum of 6 die. If 2 males and two females survived, and if they in turn also had 2 males and 2 females that survived, there would constantly be a doubled population of sloths: The first generation (from the ark) which would be 2 sloths would therefore lead to 4 which in turn leads to 8, and then to 16, and so on and so forth. Add into the equation that it is over 3,000 miles from Eastern Turkey to the Bering Strait which leads to North America. â€“ Using Seanâ€™s estimate that they may have traveled 12 miles in a [year], that would indicate that they made it to the outskirts of North America in 250 years. With this in mind, one is left to wonder about a population of sloths in modern Russia which should have been considerableâ€¦or at least noticeable, though it is possible there may have been times when their birth rates and survival rates would have dropped a bit, though that doesnâ€™t clear the problem, and there should be evidence of such a migration from Eastern Turkey. â€“ Also, when one factors in the time sloths spend sleeping in a day (15 to 18 hours a day), the idea that they could have traveled 12 miles a year is a stretch. And that goes without mentioning that they almost never get out of the trees. That begs the question of how far they were willing to walk over treeless territory until they would find more trees. This sounds to me very much like what Dr Pitman has been writing all along. It is transparently obvious that it is impossible to accept both the origin-by-evolution scenario and the Bible as historically accurate accounts of our origin. Dr Pitman has consistently defended the accuracy of the biblical narrative, in harmony with Adventist beliefs, and has been just as consistently attacked by certain posters for doing so. In the process Dr Pitman has been accused of not having sufficient respect for the Bible, not sufficient faith, etc. That is high irony indeed. Apparently these posters object to the rational/scientific defense of the biblical account, characterizing such defense as contrary to faith while also implying that the teaching of the evolutionary scenario as factual in our universities should not be questioned or even exposed to the public. Jesus told a parable of two sons — the first at first refused to do as the Father wished, while the other appeared to obey. The first, in fact, did as the Father asked, while the latter did not obey. It seems to me that those professing “faith” in the Bible, while arguing strenuously against Dr Pitman’s defense of the biblical account are very much like the second son who appeared to obey but did not. They characterize Dr Pitman as “heretic” (i.e. disobedient), which is an epithet that more accurately describes their own postings. Also, I failed to grasp the authority of the Bible when I wanted to take the â€œtruthsâ€ discovered in the natural world and synthesize them with the truths from the scripture. It seems to me that Edward Zinke was attempting to do what the professors in some of our schools (notably La Sierra) have actually done – “synthesized” “truths” of science with the Bible, not recognizing that the Bible is, in fact, accurate in its historical narrative. In their “synthesis,” they reinterpreted the Bible to accommodate science (falsely so called). It is highly ironic that anyone should attempt to use Dr Zinke’s confession to attempt to put down Dr Pitman’s spirited defense of the historicity of the biblical narrative. Dr Zinke confesses to having used an approach that is foundational to Catholic theology — that of regarding tradition (or science) as being of equal authority as the Scriptures. That is actually a self-serving twisting of the true meaning of “primacy of the Scriptures,” which means that Scripture is “above all,” and that all other sources of spiritual authority must be tested by the Bible. Without realizing it, I was using a method that came from the major theologian of the Middle Ages, Thomas Aquinas. For him, theology rested upon the Bible AND nature, the Bible AND reason, and the Bible AND church tradition. I believe Dr Pitman has been saying that if we reject the historical/scientific accuracy of Genesis, which other Bible writers regarded as accurate history, we undermine the very foundation of biblical authority. If the Bible is not accurate regarding the things we can see, how can we trust it regarding things we can not see? Also, when one factors in the time sloths spend sleeping in a day (15 to 18 hours a day), the idea that they could have traveled 12 miles a year is a stretch. And that goes without mentioning that they almost never get out of the trees. That begs the question of how far they were willing to walk over treeless territory until they would find more trees. At the very least, global migration under ideal conditions, even of sloths, seems plausible (and I think unavoidable given the doubling time for sloth populations under ideal circumstances) â€“ certainly not â€œimpossibleâ€ as youâ€™re trying to suggest. Well, for the record, I said “it would have been difficult, if not impossible.” Perhaps it was possible. — Perhaps a journey of such a route could have been possible under certain conditions. Who knows? But, what I am more concerned about is not the journey, but rather a trail that they would have left behind from Eastern Turkey to North America. I’m more interested in what they would have left behind on their migration to indicate that they were there. For a while, they should have at least had a population in those regions… Perhaps they still would have decendants in Russian forests, or skeletal remains from those who did not make it. The tone of voice and vocabulary of a speaker reflect the speakerâ€™s image, not necessarily the validity of the message, and are the determining factors for awards by both the Academy of Motion Picture Arts and Academic Peer Reviews, not infrequently in mutual consultation, a little known fact. For our in-house peer review, the following pretty representative aliquots of recent EduTru drag-and-drops, certifiably [sic], are submitted. Who among us is objecting to a rational/scientific defense of the Biblical account, and characterizing it as contrary to faith? There is nothing wrong with examining evidence. And I don’t believe any of us are arguing that evolution as a factual scenario should be taught in our schools; I have certainly never argued this position. Just because we oppose Sean’s insistence that proper faith requires modern day evidence–and if you believe otherwise you will be subjected to public abuse–does not mean we are pro-evolution and disrespectful of SDA fundamental beliefs. That assumption which many of you hold to is wrong and in itself abusive. You are paying too close attention to their effort to portray us as “blind,” unwilling to use our brains, and in agreement with the Bible-hating Richard Dawkins. In doing so, they are showing their true colors. My point is pure and simple, and you haven’t shown anything from “Seventh-day Adventists Believe” to contradict this: the Bible does NOT require external validation by modern science. Examination is fine, and I have no problem with it, and certainly the Church invites it; but is it necessary to validate scripture and to form a proper faith? Heavens no! (Or hell no, if that’s permissible.) Seventh-day Adventists have always insisted upon Sola Scriptura. Do you people not understand what “sola” means? What part of “This faith which receives salvation COMES THROUGH THE DIVINE POWER OF THE WORD and IS THE GIFT OF GODâ€™S GRACE” (SDA Fundamental Belief #10) do you people not understand? Sean and Bob could readily align themselves with these words from FB #10, but they have adamantly refused to do so. The conclusion is obvious: they do not believe that faith is a gift from God, and can be formed through God’s word alone. Surely, Inga, you accept FB #10, don’t you? I find it ironic that Jesus could believe in the historical validity of the Bible and form a proper faith before humanity had any inkling of what DNA and fossils might inform us. And now…what, ever since http://www.detectingdesign.com came into existence, we have lost everything that Jesus had available? Now we must LEARN and BELIEVE and TEACH that the “weight of modern evidence” tells us the Bible is true? Sorry, but that’s total nonsense. And it’s heretical and blasphemous. They characterize Dr Pitman as â€œhereticâ€ (i.e. disobedient), which is an epithet that more accurately describes their own postings. Okay, let’s be nice and say that Dr. Pitman and Bob Ryan are not “heretics.” But are they undermining SDA Fundamental Belief #10? This belief states very clearly, “This faith which receives salvation COMES THROUGH THE DIVINE POWER OF THE WORD and IS THE GIFT OF GODâ€™S GRACE” (SDA Fundamental Belief #10). Let’s see if either one of them will now clarify their position and state, “I agree with FB #10, that faith is the gift and God and comes through God’s word.” I hope they have the humility to do so. Ahem…this is actually the very approach that Christian apologist Ravi Zacharias is pushing, which happens to be EXACTLY what Sean Pitman and Bob Ryan are pushing. What have you been reading? I suggest you go to the article above and see what Pitman actually says about this approach. Catholic? That’s an interesting observation. Hello out there!!! Are there ANY readers who actually agree with SDA Fundamental Belief #10–besides me? In short, haven’t you just argued that because faith and science are separate enterprises, the promotion of The Theory of Evolution, in SDA schools, by professors of science, shouldn’t really be a big deal at all? After all, the SDA faith shouldn’t be at all affected by empirical/scientific evidence, modern or otherwise… right? Since rational faith can withstand the weight of empirical evidence, the more contrary empirical evidence the better! – right? Why does the Church even bother with trying to support is position with the use of any kind of empirical evidence whatsoever? If the Bible is its own basis for authority, if it cannot be wrong, even in theory, why subject it to any kind of empirical test at all? Again, you seem to speak out of both sides of your mouth. You appeal to the modern sciences of archeology and history as a basis for the validity of Biblical prophecy and its Divine origin (i.e., with the use of modern empirical evidence), but then claim that such empirical evidence really isn’t needed as a basis of faith nor is the weight of empirical evidence, as often referenced by Mrs. White, a basis faith in the Divine origin of the Bible? Why do you also challenge nearly every single empirical basis brought forward in support of the SDA view on creation and the Noachian Flood? – if you’re such a big supporter of the actual historical truth of such positions? You’ve been foremost among those trying to undermine the credibility of all or nearly all arguments for intelligent design in nature and the Biblical model of origins on this website – rivaling some of those ardent evolutionists who most strongly opposed me on TalkOrigins.com and elsewhere. And you think you and those of like mind are doing the Church a service by telling everyone that the great weight of scientific evidence is in clear opposition to the beliefs of the SDA Church? – but that this doesn’t matter to those who have true “faith”? This is what you want our science teachers to teach in our schools? What does the SDA Church really want for it’s young people? Do you really think that the SDA President, Elder Ted Wilson, supports your view? How about the organized SDA Church at large? Can you honestly say that you are presenting a “scientifically rigorous affirmation of the SDA position on a literal, recent six-day creation”? Or, are you claiming that there really is no need for a scientifically rigorous support of any SDA fundamental belief since true faith needs no such empirical support? Hello out there!!! Are there ANY readers who actually agree with SDA Fundamental Belief #10â€“besides me? Now, just because faith is a gift of God does not mean that God turns off our brains when He gives us the ability to make leaps of faith. Science itself requires faith. Without faith, there is no science. And, without science, without the “weight of evidence”, there is no real faith that is able to provide a rational solid hope in the future. God has seen fit to make us an active part of our own faith – to base our faith on logical leaps from the weight of empirical evidence as we are given, by God, to properly comprehend and understand that evidence (a miracle in and of itself that is beyond ourselves). Empirical evidence is not something to be shunned or feared. Empirical evidence and the ability to understand and rightly comprehend that evidence, is also a gift of God to be used to rationally appreciate Him for who He is and trust His Word when He speaks to us. In other words, the SDA Church should be fine with scientists teaching modern evolutionary theories as the most likely story of origins to our young people? â€œaccording to it factual validity to the degree warranted by the natural evidenceâ€? In short, havenâ€™t you just argued that because faith and science are separate enterprises, the promotion of The Theory of Evolution, in SDA schools, by professors of science, shouldnâ€™t really be a big deal at all? After all, the SDA faith shouldnâ€™t be at all affected by empirical/scientific evidence, modern or otherwiseâ€¦ right? Since rational faith can withstand the weight of empirical evidence, the more contrary empirical evidence the better! â€“ right? Why does the Church even bother with trying to support is position with the use of any kind of empirical evidence whatsoever? If the Bible is its own basis for authority, if it cannot be wrong, even in theory, why subject it to any kind of empirical test at all? Again, you seem to speak out of both sides of your mouth. You appeal to the modern sciences of archeology and history as a basis for the validity of Biblical prophecy and its Divine origin (i.e., with the use of modern empirical evidence), but then claim that such empirical evidence really isnâ€™t needed as a basis of faith nor is the weight of empirical evidence, as often referenced by Mrs. White, a basis faith in the Divine origin of the Bible? Why do you also challenge nearly every single empirical basis brought forward in support of the SDA view on creation and the Noachian Flood? â€“ if youâ€™re such a big supporter of the actual historical truth of such positions? Most of the “evidence” is cherry-picked, exaggerated, and/or factually incorrect. One’s faith will falter when it is built on sand. Why not spend time building it on the rock instead? Rather than devote countless hours studying modern science, why not get on your knees and read the Bible instead? And you think you and those of like mind are doing the Church a service by telling everyone that the great weight of scientific evidence is in clear opposition to the beliefs of the SDA Church? -but that this doesnâ€™t matter to those who have true â€œfaithâ€? There is considerable evidence against a short-term chronology, and most SDA scientists concur with this. I sorely wish things were otherwise. However, if Satan was able to manipulate the evidence, and more and more evidence accumulates to suggest that life is ancient, where have YOU lead your disciples? You really think that modern science is more trustworthy than God’s own words? This is what you want our science teachers to teach in our schools? Our science teachers need to teach modern science and its limitations. They need to teach where it disagrees with SDA interpretations of the Bible–and with respect. They need to teach that we have some support, but without inventing “just so” stories to reassure students that modern science confirms scripture. At one time creationists taught that the second law of thermodynamics proves that evolution is false (I was taught this). When we learn that certain “facts” we were taught were wrong, many give up on their faith altogether. Those who developed a personal relationship with God are much less likely to become derailed when well-meaning apologists, with all their “evidence,” prove to have some of their “facts” wrong. What does the SDA Church really want for itâ€™s young people? I think the Church wants to develop a scripture- and experience-based faith in its youth. Evidence and interpretations from modern science will change, but God never does. Do you really think that the SDA President, Elder Ted Wilson, supports your view? My view aligns with FB #10: that faith is a gift from God and formed from the power of his word. I would be surprised if he disagrees. But I think you should personally inquire what he thinks. I suspect he would be VERY interested to learn your position. How about the organized SDA Church at large? Kent, your point that we must believe by faith in the inspiration and accuracy of Scripture is true. But you go on to argue that, therefore, scientific evidence and argument should never be adduced to support faith. That’s a non sequiter; it doesn’t follow at all. Of course we should support faith with argument, including with argument from the data of science; Christian apologists have always done this down through the ages, and never more effectively than at present. The notion that Christian apologetics is an illegitimate enterprise that detracts from faith is ahistorical, anti-scriptural, and the opposite of the truth. The purpose and function of apologetics is to support faith, and Christian apologists have always understood that to be its function. Currently, the most important task of SDA apologetics is to (1) show that the evidence for the Darwinian origins meta-narrative is by no means conclusive or even very convincing, and (2) to construct a robust biblical creationist model of earth history. But you constantly argue against not only the specific arguments made but also against the legitimacy of the whole enterprise. Your position is so thoroughly backward, against the stream of Christian and Adventist history, and frankly outlandish, that I think I’m entitled to wonder what is really going on. I’ve concluded that your position is actually an transitional position on the way toward abandoning the current Adventist reading of Scripture. What you continually advocate is that in the current war over origins, our side should disarm while the other side continues to fight. Once our side has hopelessly lost the war–and no sane person believes there are any good arguments for a recent creation and worldwide flood–then we will be forced to change our reading of Scripture to incorporate the manifest “facts” of science. I don’t think this strategy will work, however, because it is a little too obvious. Can you honestly say that you are presenting a â€œscientifically rigorous affirmation of the SDA position on a literal, recent six-day creationâ€? To whom? I’m not a Church employee. Here at this website? You are attempting to do that, but you omitted the word “balanced.” I think your defense of creationism has correct elements, but many unbalanced ones as well. Or, are you claiming that there really is no need for a scientifically rigorous support of any SDA fundamental belief since true faith needs no such empirical support? What part of “sola scriptura” requires anything more than scripture? And, without science, without the â€œweight of evidenceâ€, there is no real faith that is able to provide a rational solid hope in the future. This is such a profound statement. Why don’t you officially propose to add this wording to FB #10? As currently written, one would never get this notion. This could, in fact, become one of your greatest and most lasting contributions to the Church. I’m in — count me in. It is the doctrine of salvation in the form of justification and sancdtification. Wouldn’t want to miss out on that one. In infinite love and mercy God made Christ, who knew no sin, to be sin for us, so that in Him we might be made the righteousness of God. Led by the Holy Spirit we sense our need, acknowledge our sinfulness, repent of our transgressions, and exercise faith in Jesus as Lord and Christ, as Substitute and Example. This faith which receives salvation comes through the divine power of the Word and is the gift of God’s grace. Through Christ we are justified, adopted as God’s sons and daughters, and delivered from the lordship of sin. There is no conflict between the Biblical truth that faith is a gift of the Holy Spirit and Christian apologetics. Yes, the Holy Spirit gives us faith, but the Holy Spirit appeals to empirical evidence as a basis for that faith. If faith must be blind to be real faith, then by definition, the apostles themselves did not have real faith, since they repeatedly saw and even touched the risen Jesus. Clearly, the faith of the apostles was based on empirical evidence. Read the gospels, especially Matthew, and notice the many appeals to prophecy and history as a basis for faith in Jesus Christ. The notion that Christian faith is not based on evidence is a construct that finds its origin in the 18th century “Enlightenment,” not in the New Testament. The Seventh-day Adventist Church endorsed the Historical-Grammatical hermeneutic of biblical interpretation in the 1986 Annual Council. In so doing, the Church expressly rejected the Historical-Critical hermeneutic of biblical interpretation, as reflected in this statement: â€œEven a modified use of this method that retains the principle of criticism which subordinates the Bible to human reason is unacceptable to Adventists.â€ AR, Jan. 22, 1987. The 1986 Annual Council action is reflective of what has been orthodox theology of the Church during the past 147 years. The cryptic language Dr. Pitman quotes in â€œAn Affirmation of Creationâ€”Reportâ€ from 2004 was not intended to effect a change in the Churchâ€™s hermeneutical approach to scripture. This statement did not and does not open the door to countenance criticism of the sacred text that Dr. Pitman has engaged in, notwithstanding how poorly drafted the statement may be. I make this assertion with confidence, knowing full well the fervid â€œline in the sandâ€ feelings of Adventist theologians about hermeneutics. Ellen White was a harsh opponent of criticism. Criticism as discussed above is a term of art that describes a hermeneutical effort to validate or invalidate biblical text based on an external body of knowledge such as science. She wrote, â€œGod will punish all those who, as higher critics, exalt themselves, and criticize God’s Holy Word.” BE Feb 1, 1897. Directly on point is her following statement: â€œBut God will have a people upon the earth to maintain the Bible, and the Bible only, as the standard of all doctrines and the basis of all reforms. The opinions of learned men, the DEDUCTIONS OF SCIENCE, the creeds or decisions of ecclesiastical councils, as numerous and discordant as are the churches which they represent, the voice of the majority–not one nor all of these should be regarded as evidence FOR OR AGAINST any point of religious faith. Before accepting any doctrine or precept, we should demand a plain â€˜Thus saith the Lord’ in its support.” GC 595 (emphasis added). I know of no Church leader or theologian who presently supports this websiteâ€™s campaign against La Sierra University, embraces Dr. Pitmanâ€™s hermeneutical approach to scripture, and is willing to make a public admission to that effect. To be rejected on theological grounds is this websiteâ€™s claim that teaching mainstream science in an Adventist university science class undermines belief in the Genesis account of creation, because science has no evidentiary basis in determining oneâ€™s interpretation of the sacred text or oneâ€™s belief in the truthfulness of the sacred text. See Phillip Brantley, â€œAn Open Letter to La Sierra Universityâ€, published on http://www.spectrummagazine.org, 10/24/10. Ahemâ€¦this is actually the very approach that Christian apologist Ravi Zacharias is pushing, which happens to be EXACTLY what Sean Pitman and Bob Ryan are pushing. What have you been reading? I suggest you go to the article above and see what Pitman actually says about this approach. Catholic? Thatâ€™s an interesting observation. The Catholic position is that the Bible and tradition (plus whatever) are on a more or less equal plane, which is similar to certain Adventist professors seemingly regarding science and the Bible as having equal authority, though, in practical terms, demonstrating that they see science as being more authoritative, because they reinterpret the Scriptures to match the current scientific paradigm … more or less. By contrast, it is clear that Dr Pitman accepts a biblical world view (necessarily rejecting a naturalistic world view) and thus demonstrates in practical terms that he honors the Bible above the “scientific” interpretation of the evidence found in the natural world — no matter how vehemently he is accused of undermining the Bible. I continue to regard the parable of the two sons in Matthew 21 as relevant to the current discussion. Thank you for nicely illustrating my point for me. You, as a lawyer, strongly support the efforts of LSU science professors to not only present, but to actively promote, on the dime of the SDA Church, the modern theory of evolution as the true story of origins from the “scientific” perspective. You argue that this is perfectly fine since the SDA faith does not, or at least should not, have any basis in empirical “natural” evidence or in any form of scientific reasoning, investigation or support. As far as I understand your position, the Bible must be internally interpreted and understood without reference to external empirical “natural” realities as interpreted by scientific methodologies. You even suggest, and this came as a real surprise to me, that the majority of SDA theologians and other leaders within the SDA Church would agree with you on this… to include your conclusion that most of the leadership of the SDA Church is actually in favor of the idea that LSU should continue on promoting the mainstream perspective on origins, in direct opposition to the SDA view on a literal creation week, in all science classes? that they are supportive of the idea that religion should be left to the theologians and science to the scientists? never the twain to meet? If this is true, why has there been such a firestorm over this issue? Why has LSU repeatedly tried to cover up the fact that many of its upper division science professors have long been promoting mainstream theories of evolution as the true story of origins? – Why has LSU tried to deny that its professors have been telling students that the SDA position on origins is scientifically untenable? Why try to cover this up? Why not advertise it far and wide and be proud of it if this is truly what the SDA Church, as an organization, expects from its universities? It is one thing to let the Bible be its own interpreter when it comes to understanding context and trying to grasp what the various authors were trying to say. It is quite another thing to argue that the Bible’s credibility is self-evident without any external points of reference. You argue that the evidence in support of the Bible’s Divine origin is “supernatural evidence”; not “natural evidence”. Tell me, how can we, as natural subjective human beings, determine the supernatural from the natural? – without using a form of scientific reasoning? For example, is a chocolate cake natural or supernatural? The creative process that is required to produce a chocolate cake cannot be explained by any scientific appeal to mindless natural laws. Yet, a form of scientific reasoning can be employed to suggest to the observer that at least human-level intelligence was required to produce the chocolate cake. The ultimate origin of this intelligence, or functional information needed to make the cake, cannot be explained by science. There are no experiments or calculations that can describe how to produce this level of informational complexity without appealing to pre-existing intelligence or informational complexity at or beyond the same level that one is trying to explain. So, is the origin of a chocolate cake natural or supernatural? The same thing is true when it comes to detecting the need for a God or God-like powers to explain various phenomena that we see within the natural world – to include the functional information complexity to produce even the most simple of living things. It’s like explaining a chocolate cake, but on a higher level is all. Therefore, Science, or a form of scientific reasoning based on empirical evidence, is not the enemy of faith. Such reasoning forms the basis of a rational Biblical faith. The Biblical authors are constantly pointing toward empirical evidences as a basis of their own faith and of the faith of the various heroes of faith described in their stories. Faith is also required by science itself. Without the ability to make leaps of faith beyond what can be absolutely known, there would be no science and no scientists. In this sense, science has religious implications and religion can be, and I think should be, based on a form of scientific reasoning and higher cortical function that goes well beyond the mere emotion-based blind-faith religions of today. Is this true or not true? Website editor – reposting so the quotes stand out. The Seventh-day Adventist Church endorsed the Historical-Grammatical hermeneutic of biblical interpretation in the 1986 Annual Council. In so doing, the Church expressly rejected the Historical-Critical hermeneutic of biblical interpretation, as reflected in this statement: â€œEven a modified use of this method that retains the principle of criticism which subordinates the Bible to human reason is unacceptable to Adventists.â€ AR, Jan. 22, 1987. The 1986 Annual Council action is reflective of what has been orthodox theology of the Church during the past 147 years. The Historical-Grammatical hermeneutic accepts scripture at face value and interprets scripture based on principles of interpretation that arise out of scripture itself. In order for the Historical-Grammatical model to hold to its claim to interpret the Bible “at face value” based on principles of interpretation that arise out of scripture itself â€“ it would have to use “reason” to state those principles and apply them objectively. Thus it is NOT true in the strictest sense that the the H-G model is unreasonable or that it rejects reason. RATHER the H-G model rejects the philosphical meandering and traditions of men that seek to pull in every excuse under the sun to bend-and-wrench the text away from its face value meaning. Thus the H-G model is not open to every atheist on the block that wants to claim some outside “excuse” for arguing that “scripture is not true or as you point out to argue against the “truthfulness of scripture”. In contrast, the Historical-Critical hermeneutic puts scripture to the test and relies on external norms and bodies of knowledge to determine the meaning and truthfulness of scripture. As noted â€“ the H-G model is not trying to figure out which part of the Bible is truthful. But it can be used in places like Dan 2 and 7 to establish the trustworthy nature of prophecy. It is agreed that the Affirmation of Creation statement is not intended to open a flood gate of criticism against the Bible. Obviously. But the SDA position has long held to the idea of informed faith based on â€œthe weight of evidenceâ€. It has always held a high regard for finding evidence in nature that results in faith and Romans 10 and Romans 1 argue that same thing about the invisible attributes of God clearly seen in the â€œthings that have been madeâ€. Criticism as discussed above is a term of art that describes a hermeneutical effort to validate or invalidate biblical text based on an external body of knowledge such as science. She wrote, â€œGod will punish all those who, as higher critics, exalt themselves, and criticize Godâ€™s Holy Word.â€ BE Feb 1, 1897.Directly on point is her following statement: â€œBut God will have a people upon the earth to maintain the Bible, and the Bible only, as the standard of all doctrines and the basis of all reforms. The opinions of learned men, the DEDUCTIONS OF SCIENCE, the creeds or decisions of ecclesiastical councils, as numerous and discordant as are the churches which they represent, the voice of the majorityâ€“not one nor all of these should be regarded as evidence FOR OR AGAINST any point of religious faith. Before accepting any doctrine or precept, we should demand a plain â€˜Thus saith the Lordâ€™ in its support.â€ GC 595 (emphasis added). The point that Dawkins, Provine, Meyers, Darwin make below agrees perfectly with that Ellen White states on that same subject in 3SG 90-91. Expelled: 7 of 10 â€“ Darwinism leads to atheism. Ellen Whiteâ€™s statement in 3SG 90-91 agrees to the point of saying that you cannot conclude from nature that evolutionism is true â€“ and still have the right view of God, or creation or the Sabbath. The subtle fallacies in that single statement are several. 1. It is unlikely that every church leader has written to you to confide in you their thoughts favorable or unfavorable regarding this website and the posts here. 2. This web site has never declared itself to be in a â€œcampaign against LSUâ€ nor has anyone that posted here said such a thing. 3. It is fallacious to argue that every student and faculty member at LSU can be cast in the same mold as the religion and biology department professors who choose to evangelize for evolutionism at LSU on the churchâ€™s dime. This web site has not done that. 4. A number of our own SDA church leaders presented their views at the â€œYes Creationâ€ event in Atlanta opposing the sacrifice-all-for-evolutionism stand. A stand easily illustrated by prof Bradleyâ€™s statements to the press and Erv Taylorâ€™s own statements on this forum as he himself is a guest lecturer on this very subject at LSU. Bolstering the Word of God with external evidence seems pious, too. But when one puts the Genesis account of creation to the test, and freely admits that his or her belief in that sacred text rises or falls based on science data, that is heresy. Again this is a twisting of the facts. As noted â€“ even Ellen White admits that to make evolutionist claims for what happened in nature is to reject faith in God (or at the very least undermine it) such that it results in the â€œWorstâ€ form of infidelity (her words not mine). This conclusion that it obviates faith in God is the confirmed testimony of the now atheist evolutionists I pointed to (giving their own views on video in this case) and it was the testimony of Darwin himself and of every creationist on the planet. To be rejected on theological grounds is this websiteâ€™s claim that teaching mainstream science in an Adventist university science class undermines belief in the Genesis account of creation, because science has no evidentiary basis in determining oneâ€™s interpretation of the sacred text or oneâ€™s belief in the truthfulness of the sacred text. 1. There is no claim here that evolutionism is good science â€” it is little more than junk-science totally unproven in the lab making wild alchemist claims about â€œbirds coming from reptilesâ€ and â€œeukaryote cells arising out of rocks, gas, liquid and an energy sourceâ€. Thus there is no claim here that teaching science undermines the Bible. 2. There is no claim in any of the SDA documents listed that an evolutionist doctrine in favor of fictional origins for all the complex genomes seen around us today â€“ has no impact on faith, doctrine or acceptance of the Bible. What a rational conundrum. How is one to decide that the Bible is superior to human reason if one cannot use human reason? This is why when Erv says tongue in cheek that Sean is on a heroic crusade he is right. Sean is trying to overcome this irrational approach by saying there is a rational, empirical basis for belief in the Bible. Whether he can do so remains to be seen, but at least he comprehends the need and I think this is a rational approach. On the other hand the progressive Adventists understand that the sheer magnitude of scientific evidence supports evolution and are trying to reconcile this with their faith. That is a rational approach as well. I have watched with interest as the various camps try to use facets of church doctrine to claim they are right. There is only one legitimate way to solve the problem. The ruling body of the church needs to step forward and issue an edict. Otherwise the controversy will prevail to the detriment of the Church. Church leadership is required. …it is clear that Dr Pitman accepts a biblical world view (necessarily rejecting a naturalistic world view) and thus demonstrates in practical terms that he honors the Bible above the â€œscientificâ€ interpretation of the evidence found in the natural world â€” no matter how vehemently he is accused of undermining the Bible. Dr. Pitman makes no bones about his position: the Bible can only be believed if science and human reason can verify it. He has told us this dozens of times. He has stated repeatedly that he would abandon his faith if science (in his interpretation) contradicted scripture. Take off your sunglasses, Inge. The reference quoted was not at all speaking of ucritically accepting evolutionism’s claims in nature (that contradict both the H-G reading of Romans 1 and Genesis 1) as if that has no impact on the acceptance of H-G in those very chapters. It was never meant to argue that no matter the contradictions in nature that you find you it will never have any implications for acceptance of the Bible. H-G only speaks to the RENDERING of “the text”. It never recommends making up wild fictions about nature and claiming that both are true. BobRyan: The reference quoted was not at all speaking of ucritically accepting evolutionismâ€™s claims in nature…H-G only speaks to the RENDERING of â€œthe textâ€. It never recommends making up wild fictions about nature and claiming that both are true. Who is misleading whom? Phil Brantley never proposed ucritically accepting evolutionismâ€™s claims in nature. He never suggested that H-G (the historical-grammatical hermeneutic) recommends making up wild fictions about nature and claiming that they are true. There are two subjects being conflated in some of the claims made here. 1. Rendering the text: This is done using some method of exegesis – Adventists choose the H-G hermenuetic to render the accurate meaning of the text. 2. Supporting or defending what the Bible says (apologetics) against various claims that the Bible is not accurate or is composed of lies or is not trustworthy etc. In this context the issue is STILL not one of “bending the bible” but rather of using the H-G determined meaning as a given – and then arguing the case of whether the text is accurate and trustworthy. That is what atheists would do and it is what Christians do. Take the most direct meaning of the text and then ask the question about accuracy and trustworthy nature of the text. By contrast some of our T.E friends try to bend the text instead of spending some time rethinking their policy of uncritically swallowing the dogmas and doctrines of by-faith-alone evolutionism. That is a non-H-G solution. And it is poor science as well. Bob, are you seriously suggesting the following? 1. That theistic evolutionists uncritically accept their beliefs and dogmas, and by faith alone. 2. That atheists and SDAs, by contrast, use science and the historical-grammatical hermeneutic to examine whether the most direct reading of what the Bible says is true? Rather odd to see how much we have in common with atheists. I had no idea. Note the priority of God’s word versus empirical facts detected by our senses. It is easy to see how holding to such views “might” help you make friends with evolutionists by saying to everyone of them you meet “you betcha – I agree with you all of science is clearly dictating that evolution is actually what happened in nature”. The “weight of empirical evidence” should have NO BEARING WHATSOEVER for the SDA Christian who accepts, on God’s Word, that an axe head can float on water, that Jesus was born of a virgin, and that Jesus bodily ascended to heaven. Likewise, it should have NO BEARING WHATSOEVER for the SDA Christian who accepts, on God’s Word, that He created the earth in 6 days. You see, we’re talking about the basis to accept the Bible as the true Word of God given numerous competing options from the perspective of someone who hasn’t grown up automatically believing the Bible in a Bible-believing culture. Upon what basis can one who has not grown up in your culture know that the Bible is the true Word of God while the Qur’an or the Book of Mormon or the Bhagavad Gītā isn’t? Simply hearing the Bible is enough to make this determination? – without empirical knowledge of any other information outside of the Bible? – like real history? The Holy Spirit simply tells you the right answer without you having to do any other investigation on your own? – without any real study to search out the truth with your God-given brain and intelligence? [God] appeals to reason and waits for each person to decide on the basis of the weight of evidence and the constraint of love. – Steps to Christ, pp. 43-47; The Desire of Ages, p. 458; Testimonies, vol. 3, p. 255; vol. 4, pp. 583, 584. “Those who desire to doubt will have plenty of room. God does not propose to remove all occasion for unbelief. He gives evidence, which must be carefully investigated with a humble mind and a teachable spirit, and all should decide from the weight of evidence.”—Ellen G. White, Testimonies for the Church, vol. 3, p. 255. “God gives sufficient evidence for the candid mind to believe; but he who turns from the weight of evidence because there are a few things which he cannot make plain to his finite understanding, will be left in the cold, chilling atmosphere of unbelief and questioning doubts, and will make shipwreck of faith.”—Ibid., vol. 4, pp. 232, 233. The Word of God establishes all things. Our science does not “prove” the Bible, the Bible proves our science. But since the God of the Bible is the Creator of the universe and the author of the book of nature, there can never be a true contradiction between science and the Bible. We study both humbly and carefully knowing that each sheds light on the other. Upon what basis can one who has not grown up in your culture know that the Bible is the true Word of God while the Qur’an or the Book of Mormon or the Bhagavad Gītā isn’t? Simply hearing the Bible is enough to make this determination? – without empirical knowledge of any other information outside of the Bible? – like real history? The Holy Spirit simply tells you the right answer without you having to do any other investigation on your own? – without any real study to search out the truth with your God-given brain and intelligence? While science can teach of the power, handiwork, and love of God, sin has dimmed its message. The Bible is necessary to properly interpret nature. And the Bible alone can declare God’s personality.